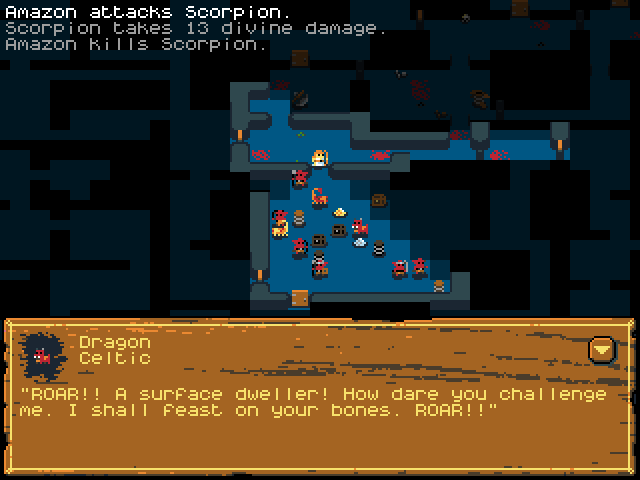 Hack, Slash, Loot is a single-player turn-based dungeon crawler Linux. You take control of a lone hero and explore sprawling dungeons, fight dangerous monsters and plunder valuable treasures. A free Linux demo is available here. Full version for $10 can be purchased form here.